This 16 GB portable flash drive from Leyio is equipped with a UWB radio module and allows you to securely share your files with other Leyio users. Using speeds of up to 10Mbps photos, videos and other multimedia files can be transferred easily. When two devices are near each other you can connect them using ultra wideband radio technology allowing you to select which files to transfer. You can also use a USB port on the side to transfer to other devices. If you for some reason do not have a memory stick and need one then a 2GB USB shuttle is built in to the casing which can be removed when needed. 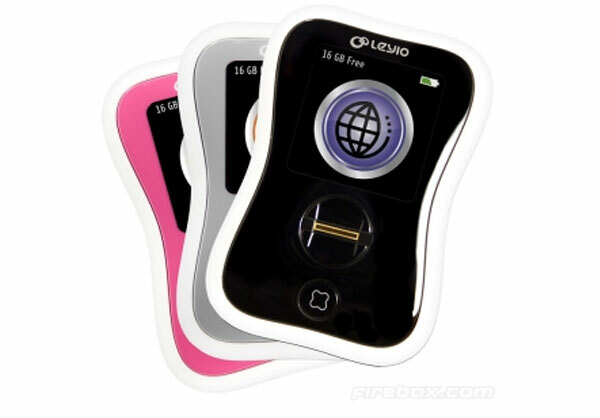 The Leyio also has a small 1.5″ OLED screen to allow you to browse your files and giving you up-to-date information on storage space and transfer speeds. * Rechargeable using external mini USB port.